For additional information about this book, visit the website www.mgriesgraber.com. Artist Michael Griesgraber knows how to make color go through its paces. In Griesgraber's hard-edge geometric paintings, he saturates hues that contest with one another for visual prominence, resulting in dynamic configurations that perpetually realign. Calling upon the variable perception of a color in relation to others, he orchestrates ever-shifting groupings and spatial readings, with any component having the capacity to advance or recede. These vibrant works are paired with thoughts on color in this one-of-a-kind book. 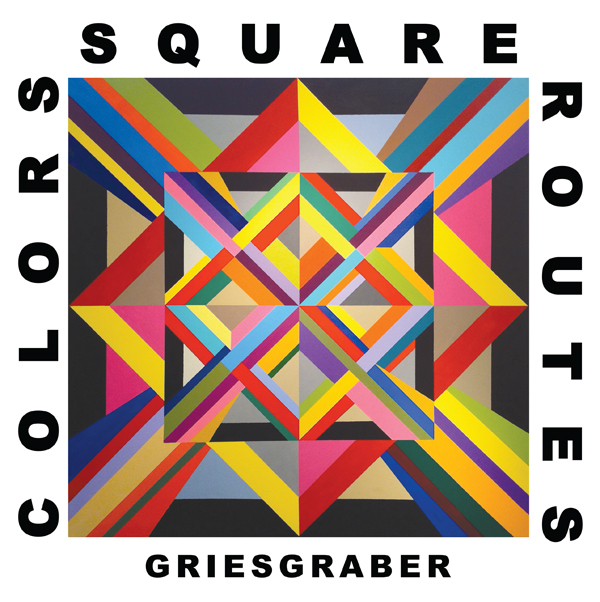 The title Colors Square Routes references the format for the paintings. Starting with the canvas shape, squares and cubes are used throughout as a motif and as overt or implicit structural elements. In addition to the lines of 90° angles, Griesgraber derives diagonals and, with this restricted repertoire, achieves seemingly endless permutations, pushing patterns to the limit with the adept application of vibrant color. Michael Griesgraber was born in St. Paul, Minnesota. Aside from his art, his career included stints as a Navy photographer, a graphic designer at the Walker Art Center in Minneapolis, a BBDO ad agency account exec, and an advertising and marketing director for some of the world’s most decorated tech companies. Michael’s parodies are only one aspect of his work. Now a full-time artist living in Las Vegas, Nevada, Griesgraber and his original paintings have come to the attention of art collectors, critics, and curators, including Lauren Hickson of New York’s Solomon R. Guggenheim Museum and The Metropolitan Museum of Art’s, Beth Saunders, Curatorial Assistant. His work is on display in Las Vegas and in over one hundred private collections in the US, Canada, and England. Griesgraber paints parodies whenever he feels like lampooning something.